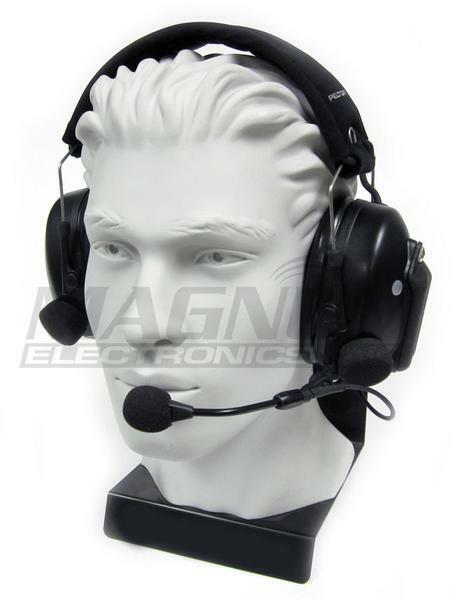 Bluetooth Dual-Muff Headset for High Noise Environments | Magnum Electronics, Inc.
UPDATE 12/12/13 – This product was cancelled and replaced by the 3M Peltor WS100. 3M Peltor manufactures a comfortable, dual-muff headset called the Tactical XP for anyone needing wireless connectivity to a two-way radio or cellular phone equipped with standard Bluetooth. Designed for high noise environments it has a high quality electret noise-cancelling boom microphone. It can also be used to prevent harmful sounds like gunshots, loud machinery, or other impulse noises that could affect your hearing. Electronic microphones mounted on the muffs amplify surrounding sounds during quiet times but instantly provide 24dB NRR. You can hear normally with the headset on but you will have excellent hearing protection if a harmful sound occurs. 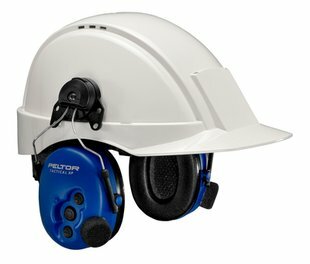 This headset is FM Approved and carries an intrinsically-safe rating. It is easy to pair with a Bluetooth phone or two-way radio adapter. It is powered by (2) AA batteries and automatically shuts off after two hours. The headset remembers the last settings used and only needs to be paired once. The black Tactical XP has replaceable ear seals and is built to last. Available in headband style (MT1H7F2WS3) or with hardhat helmet attachments (MT1H7P3E2WS3), it carries a 12 month warranty. We have tested the Tactical XP using the Motorola RMN5104 Bluetooth adapter for the XTS 5000 radio and the PMLN5712 MOTOTRBO adapter for the XPR6550 with excellent results. The PrymBLU adapters pair easily with the headset also. This entry was posted in Bluetooth and tagged Bluetooth, Headset, Peltor by magnumelectronics. Bookmark the permalink.